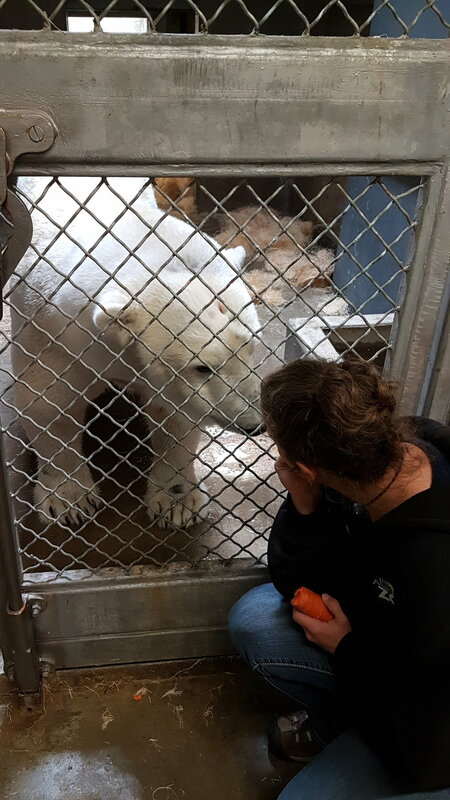 Alaska Zoo Curator Shannon Jensen and Polar Bear Zookeeper Beth Foglesong spent their second day at the Denver Zoo with polar bear staff and Cranbeary. 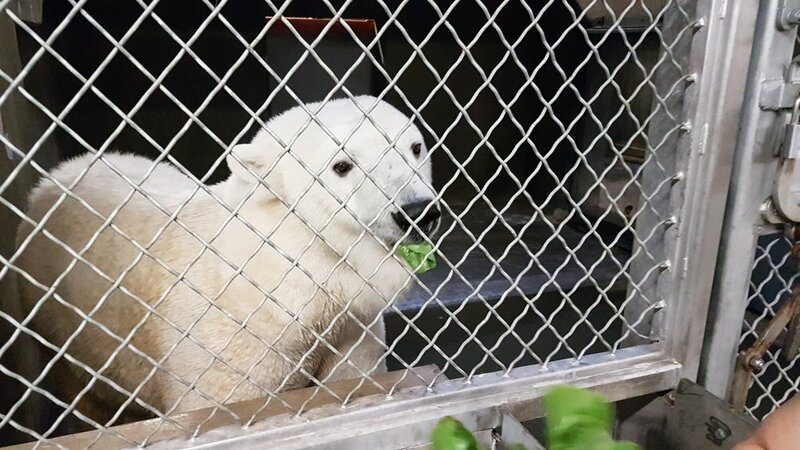 As the time draws near for Cranbeary’s flight north to her Alaska Zoo home, Shannon and Beth are learning all they can about her preferences and habits. Meryt and Abby, two of Cranbeary’s zookeepers at the Denver Zoo. Cranbeary eats five heads of romaine lettuce a day. She loves her lettuce! Beth and Cranbeary deep in discussion. Carrots are a way to this girl’s heart. Cranbeary showing us her artistic side. We will continue to provide updates on Cranbeary and our Alaska Zoo staff in Denver. 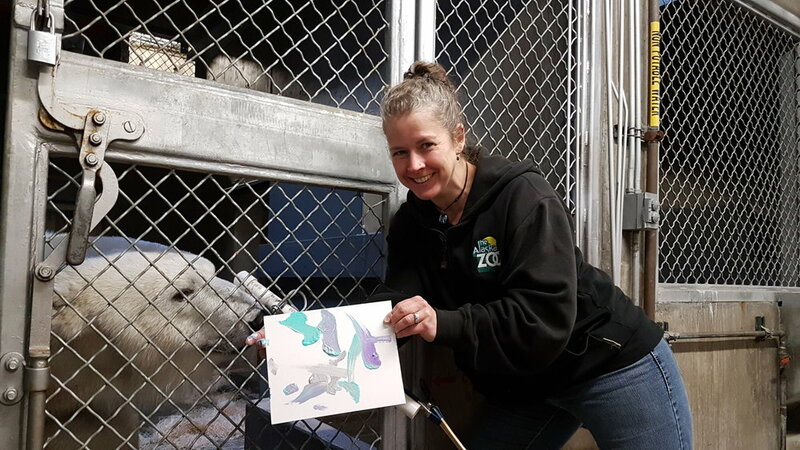 Curator Shannon Jensen said “We learned so much more about Cranbeary today and enjoyed spending quality time with her Denver Zoo family”. More to come soon! Photos in this blog post by Shannon Jensen. Newer PostWelcome to the Alaska Zoo, Cranbeary! 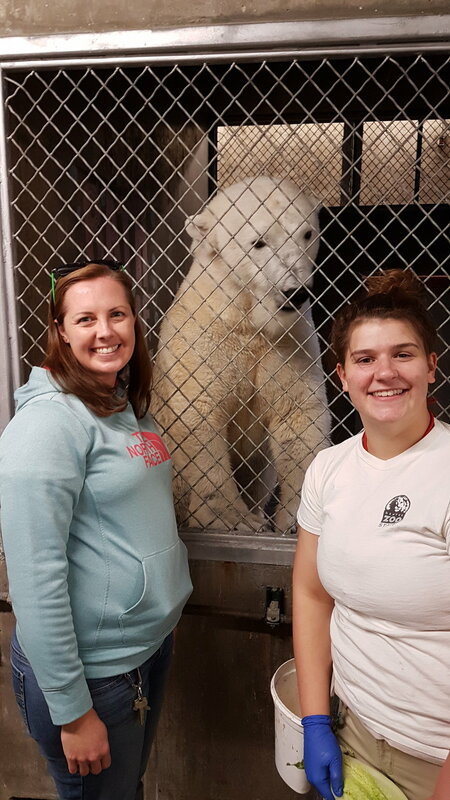 Older PostGreetings from Cranbeary the Polar Bear and Alaska Zoo Staff in Denver!